The following wedding venues are replete with spectacular, natural beauties that will make a wedding celebrated there a truly unforgettable moment in a couple's married life. Except for Dramatic Cave, all of the venues listed are geared for both the ceremony and reception. Also, you can always custom-arrange your wedding when you feel you have the creativity and time to do so. After all, every wedding should actually be unique, personal experience so you can intimately reminisce with your spouse in the future. A unique wedding will also be a source of cherished stories among close friends and families. With pristine white-sanded beaches, Barbados is a place for all-time beach lovers. Popping out as a dot—the outer-leftmost one—in the Caribbean sea, it offers splendid tropical weather and original panoramic backdrop for the most important chapter in your marriage: your wedding. Realise that beach wedding you've been dreaming of and make your dream come true here on the Barbados island, a country of its own. But do not be deceived by its virgin look. The country Barbados is filled with resorts and hotels that have wedding programmes and have made many a couple's dreams come true. Arranging a wedding here does not require you, as the bride or groom, to become a professional wedding planner in an instant; all you need to do is contact the hotel of your choice and tell them what sort of wedding you want to have. And depending on your choice of hotel (or resort), your wedding costs will vary. One resort, for example, provides a wedding package for around £2,000 that includes a 14-night, all-you-can-eat, stay for the bride and groom. Others may charge for less for shorter stays. But be aware that most of these wedding packages do not include receptions and room rates for your families and guests to stay. Contact the hotels to work out detailed expenses for your wedding plan. Belonging to the state of Hawaii, Maui is an island with attitude. Once ruled by King Kamehameha I in the 18th century, it was an attractive place to a French admiral and New England missionaries and a major port at the peak of whaling era in the mid 19th century. Browse through this second largest Hawaiian island, and you'll discover that almost every corner of the island is an original, gorgeous spot for a brilliant wedding. Come and say 'Aloha', and your Maui beach wedding will last in memories as long as memories are present. Wedding planners, hotels and resorts are abound. Wedding ceremonies range from $350 (£177) to more than $3,000 (£1,513). Room fares are varied as well. A room for four persons, for instance, starts around $125 (£63) per night. And receptions will of course depend on the selection of food and drink you order. Splintered just east off the southern tip of the African continent, on the Indian Ocean, Mauritius is a commonwealth republic rich with colonial history spanning under Dutch, French and British rules. It's not surprising, therefore, to see beautiful houses built in those yesteryears scattering this land of only 2,040 square kilometres. Not only decorated with historical houses, Mauritius also boasts original surroundings for any imaginable, romantically tropical wedding. The only known sanctuary in the world for the now extinct Dodo bird, this island offers hilly forests with falls, a central plateau, and beaches. Pick your location for saying 'I do' and pamper both of yourselves before or after it. A simple wedding wedding ceremony can be had for as little as £295, while a more equipped one will go in-between and as high as £1,900. And you can choose from 30 hotels and resorts, ranging between three and five stars, for accommodation. Each provides one out of three different meal plans: full board (all inclusive), half board, and bed & breakfast. The name “Phi Phi Islands” is not widely known outside Thailand. But these Thai islands are astonishingly remarkable in their original, natural beauty. The smaller island, Ko Phi Phi Leh, was used as the backdrop for the 2000 film “The Beach”. The bigger island, Ko Phi Phi Don, houses an assortment of hotels and resorts for lush tropical weddings, and the only of the two that is inhabited. Inhabited or not, both are truly a paradise, especially for those couples who can't wait for a long-yearned tropical, beach wedding. Although devastated by the 2004 tsunami, Phi Phi Don island is now a host of almost 1,500 hotel and resort rooms. These hotels and resorts have created wedding packages for anyone with any background and religious belief. Ceremonies can be arranged according to Thai-Buddhist, Protestant, Catholic or any variation of secular and civil processions. And while you're looking at your options, remember that the islands are a runaway haven for avid hobbyists, amateurs and professionals alike of scuba diving, snorkelling, kayaking and hiking. Why not plan something different and tie the knot in a one-of-a-kind procession on, or by, one-of-a-kind island? If you opt for any of the packaged processions, however, they can be arranged at any of 26 hotels and resorts which rank from one to five stars. Room fares of a 1-star hotel start from as little as £16 and from as much as £207 for a 5-star one. A basic Thai wedding ceremony in Bangkok costs around £557, so it should cost less on a Phi Phi island. Another tropical country covered by palm trees and white sands, Vanuatu is ready to witness your holy matrimony. Situated northeast of Australia, Republic of Vanuatu consists of 83 beautiful islands, providing an original venue for a unique, once-in-a-lifetime wedding experience. Having a wedding here will bring happy memories only you yourself can recollect with a vividness no novels can ever match. Relaxed by the Oceanic wind, cleansed by the therapeutic air, and mellowed by the conch shell blowing, you won't forget every minute of your ceremony and exchanging vows. If you're religious, your wedding will be fittingly blessed by Vanuatu's motto “Long God Yumi Stanap”, which means “In God We Stand”. A Vanuatu wedding ceremony for a lifetime remembrance can be discussed with and ordered from a good number of professional wedding planners and organisers, some of them are even in Australia and New Zealand. One of them has packages starting at A$900 (£423) all the way to A$1,900 (£894). Another offers packages that can cost more than A$2,000 (£941). 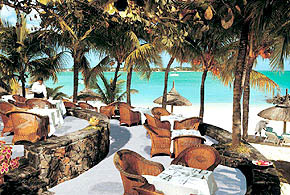 And as is the case with other venues, there is a variety of hotels and resorts and room fares. But to give an idea, there's a suite with one separate bedroom for around A$200 (£94). Others may charge slightly less or very much more. Huangshan mountains lie in the Anhui province, eastern China. Nationally, these mountains have held high reverence due to the native, particular type of pine tree growing there, breathtaking granite cliffs, and misty clouds dangling over the granite peaks. Huangshang pine tree is an evergreen tree and has become a major theme in classical and traditional Chinese paintings and literature. Internationally, Huangshan Mountains have been named a UNESCO World Heritage Site. While many tourists go there for the beautiful landscape and clean weather, there are hot springs and natural pools for people looking for alternative means of self-indulgence. Blanketed by thick greenery, Huangshan is an original spot for those who are at heart with cool-weathered, mountainous surroundings and who are planning to exchange wedding vows and rings within such environment. Welcoming every sincere tourist with a greeting as equally grand as the natural beauties carved there, Huangshan mountains oversee more than ten hotels and resorts, ranging from 2-star to 5-star rooms, and starting at as little as $23 (£12) and increasing to as much as $64 (£32). It seems there's no information about wedding packages and organisers at Huangshan. But this lack of precedence ought to be taken as a golden opportunity to be the first (international) couple to celebrate their wedding at such an exotic seclusion. Go and make your move! Although this botanic garden is man-made, it occupies part of the Greater Blue Mountains, a World Heritage Site about 48 kilometres west of Sydney, Australia. The primary reason for this garden's existence is to provide a habitat for vegetation, from around the world, which can't live and survive in the warmer lowland Sydney. Opened to public in 1987, this original garden now hosts more than 5,000 colourful, attractively beautiful species of botany at an altitude of more than 1,000 metres, covering an area of 28 hectares. Maintaining and managing such a vast and delicate garden is the job of the Botanic Gardens Trust, a New South Wales public office exclusively dedicated to garden-keeping three botanic gardens in NSW. The two other gardens are Mount Annan Botanic Garden and Royal Botanic Gardens & Domain. The Trust has included weddings as an official event allowed to be conducted in all the three gardens. However, it does not provide public information on the costs involved. Prospective brides and grooms are instead asked to ring for an initial introduction and tour in the garden, free of charge. If this initial tour is fruitful, the prospective brides and grooms will be told how to proceed with their wedding plans there. The state of Montana of the United States provides a naturally dramatic panorama for an original, unforgettable wedding. Flanked on the west by the northern part of Rocky Mountains, it is a fatherland for numerous mountain ranges; hence its name, “montaña”, Spanish for mountain. Mountainous spots are in abundance for an outdoor venue of the weddings of mountain lovers. And a hand-picked spot combined with a wedding theme suited to the tastes of the bride and groom will be a lifetime treasure to keep and cherish, a fitting gift by a state with a nickname of “Treasure State”. And to realise that treasure, many professional wedding planners and organisers are ready to help. Or, if you want to be creative yourself and plan and organise your own wedding, there is plenty of hotels and restaurants to choose from. With millions of tourists each year visiting its Glacier National Park, Flathead Lake and the Missouri River headwaters—not to mention the Yellowstone National Park—Montana is not a rookie in hospitality. A couple of search words and clicks on the net will bring to you lists of hotels, motels and other accommodation establishments—lists that will take nights to browse and study. A small village 25 km to the north of San Remo, Baiardo offers stunning, mountainous views of northern Italy in the Liguria region. Moreover, it will also be suitable for couples who are looking for tranquil ceremonies, away from the hubbub and hustle and bustle of a hectic, metropolitan city's pulses. Overlooking San Remo, a city famous for being the deathbed of Alfred Nobel in 1896, Baiardo is high at 1,000 metres above sea level. The village is also a gracefully original venue with remarkable weather throughout the year thanks to the presence of Mediterranean Sea on the south and Maritime Alps on the north. To house your families and guests, there is a selection of hotels in San Remo, with room fares as high as €180 (£142). In addition, there are many hotels, motels, boarding houses, inns, villas, apartments throughout the Imperia province, the province of San Remo and Baiardo. Tucked in Baiardo itself is a retreat house which can arrange, accommodate and conduct your wedding in the village. With 9 houses, it claims it can take in up to 30 people. The housing fee is negotiable and falls somewhere around £70 to £140 per person per week, not including food. Food and all other extras can be arranged and negotiated for. “Dramatic Cave” is a name given to one of several caves in Wales, UK. It will be a suitable venue for a wedding because there is a spacious den inside called “The Dome of St. Paul's”, decorated with man-made lake and two waterfalls. Apart from the artificial lake and waterfalls, the cave itself is originally natural and will be a source of unique ideas for your wedding. The National Showcaves Centre for Wales, the official body authorised to manage the caves, does not provide information on the fees chargeable for arranging and carrying out wedding ceremonies. So, you will have to ring them. Should you choose this place to tie the knot, you may want to choose Swansea as the base city for housing families, friends and guests, as there is a variety of hotels there, from £50 a night to over £350. No matter how you arrange your wedding in this cave, remember to bring your civilisation back out of the cave.